Moskin Dental Associates (Chicago) - Book Appointment Online! We would like to take this opportunity to thank you for considering our practice for your dental care. We accept ALL commercial and private insurances and will be more than happy to submit all insurance forms for you and help you recover the most from your benefits. We will do everything we can to help you afford the treatment you need and want. 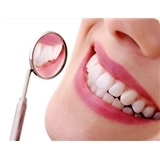 We take great satisfaction in helping you maintain optimal oral health. Our practice is devoted to comprehensive and preventive patient care. We are proud to provide a state-of-the-art facility for the highest quality dental care available. It is one of our top priorities to protect the well-being of our valued patients. Kimberly really spent the time to hear out all my dental concerns. She really makes sure I understand the mechanisms & issues affecting my teeth in a way than every dentist I've had before has not done.